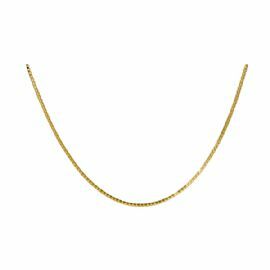 The 24" Gold-Filled Box Chain has a sturdy rope design and secure lobster claw clasp. Our gold-filled chains complement our gold cremation pendants nicely and are a wonderful way to display your beautiful cremation jewelry pieces. Cremation jewelry is designed to hold a small portion of ashes, or cremains, a small lock of hair, dried flowers, or earth from a special location.